I spoke with North Florida Coordinator Sandi Newman the day before and she informed me the land we would be gleaning at Grove House, a privately home for developmentally challenged adults. This is a location SoSA gleans after the annual “Orange Fest“, an event where you can come and pick your own fruit with proceeds going to the home. The orchard itself is not very large so the opportunity would not be as intense as working an actual farm. Additionally the weather, though starting a bit cool and wet, was projected to gravitate to a more seasonal temperature for Jacksonville. It was a struggle to awaken my son Evan. Getting a teenager to fore-go the comfort of his bed this early on a Saturday was no easy feat, but he had made commitments which could not be rescinded. My promise of a trip to Starbucks helped pry the body from the sheets. We loaded the Tahoe with gloves, bags and pruning scissors. Pearl Jam’s Yield kept us company as we traversed I-295 to San Jose Blvd. Yield seemed fitting as we rode to gather what the land offered. My need to find the bean fuel caused us to miss our road and our early arrival eventually became a slightly late one. As Karma would have it we arrived just as a regular participant was pulling up. He greeted us with a smile and assured us we were at the right location. Upon entering the property it was easy to locate Sandi. She was just as accommodating in person as on the phone and via email. A brief explanation of what we would do was accompanied by a tour of the grove, explaining the different oranges we would encounter and how we would collect them. It was a nice fringe benefit, the education on citrus. There were the juice oranges, pineapple-oranges, lemon-oranges and Satsuma. At the end of the day we would be allowed to take home a bag of Satsuma. If I were better with names, or better yet if I had written names down, you would be introduced to some of the folks who joined me. All were pleasant. Jovial and informative banter helped carry us through the morning and from tree to tree. The highlight was one of the adults from the home who joined us in our ground gathering. 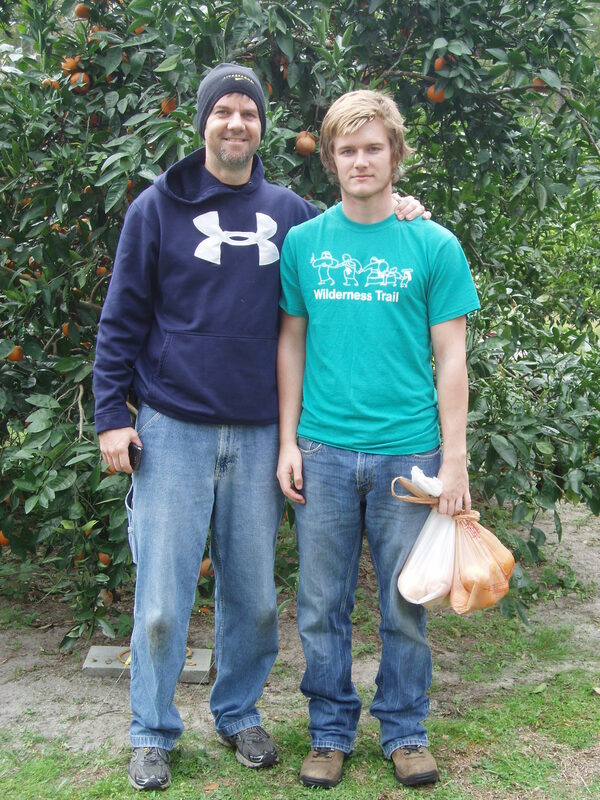 He constantly thanked us for helping him as he did not want to do this on his own and he wanted the oranges gone. In retrospect my impression was that he helped make our group a bit more cohesive though it may have only served to make me more comfortable amongst the strangers. 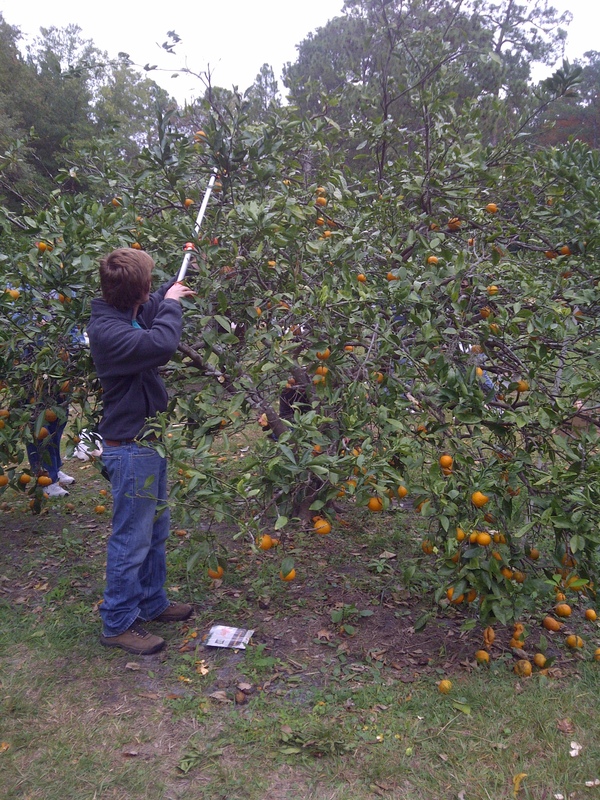 Evan enjoyed targeting my head as he clipped oranges from the taller parts of the trees. Thankfully his accuracy was refuted by my movement and the thickness of the trees. Never did he seek relief from his task and the normally quiet boy navigated the social scene with confidence and ease. This was a good memory before it had even ended. The number in attendance was enough to complete our task much sooner than expected. We were aided by a good number of trees that were allocated for a local brewery: Sandi believe it was Intuition Ale Works though she could not recall the beer that would be brewed (my educated guess is Mercury’s Wings or Wild Child Wheat). With our trees relieved of their produce we counted off the bags and began loading them in three SUVs for transport to food kitchens and shelters. Before leaving I asked Sandi what the gleaning season is in Florida, believing that our warm climate afforded a large part of the year for gathering. She stated eight months is the normal window and that the next big opportunity would come in February. 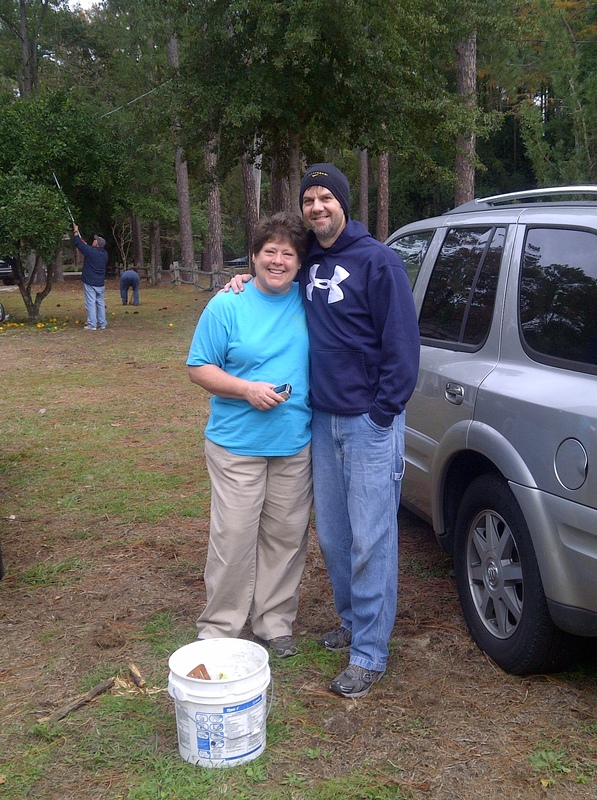 Traveling down to Hastings, FL we will have the opportunity to glean farms offering potatoes, broccoli and cabbage. I assured her she had at least another two volunteers for the coming year. I am now on the mailing list and will be updating this site with any scheduled events. Additionally, if you come across anyone who has citrus growing in their back yard but do not use it or simply cannot eat it all, let me know. Sandi has allowed me to use the organization’s name to offer gleaning services. There is something about working the land to ensure its offerings do not go to waste. I look forward to being a transport vehicle and actually meeting those we are helping. 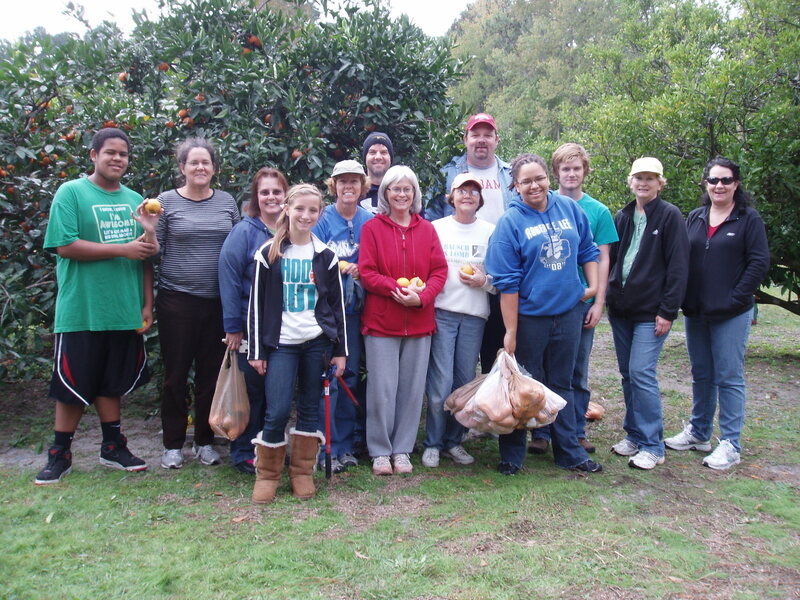 Gleaning groups can be found across the nation and if you feel you must volunteer with a non-religious organization it is not hard to find one. I know the Sierra Club performs the service. The reality is that it does not matter who the group is, it is about those you are helping. Do not let labels deter you from serving with any group.